The best part of the gun show in Jourdanton, TX last weekend was getting introduced to Roland from Survivor FireStarters in Edinburg, TX. These products were invented by him and are hand made in Texas, USA! 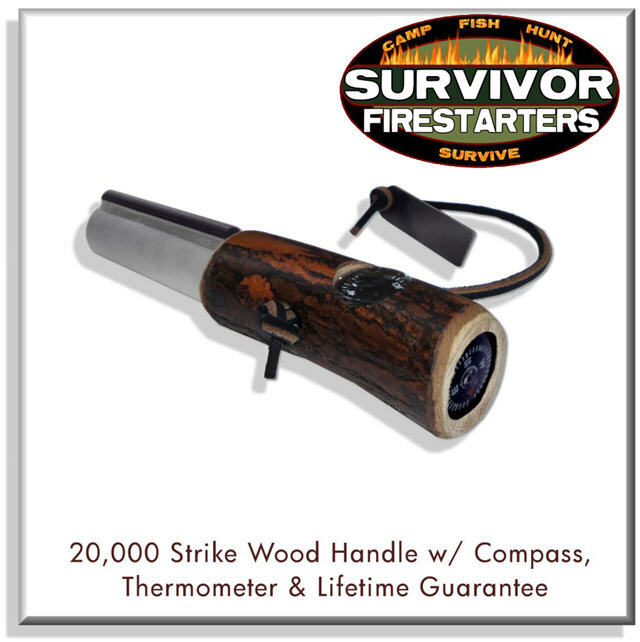 The Survivor FireStarter is incredibly easy to use and pretty much fool proof. 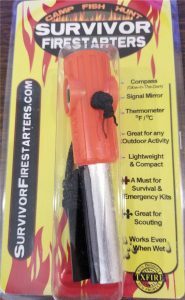 Get some kindling, add some magnesium shavings if need be for damp conditions, have your fuel ready and give it a strike. 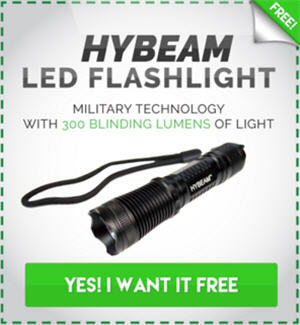 With 20,000 strikes you practically can’t wear it out, if you do then call the company and the lifetime guarantee will kick in and you’ll get another one! 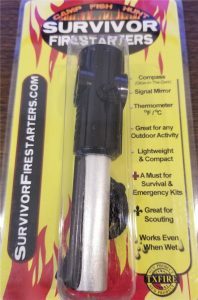 This is absolutely the best, easiest to use flint and steel fire starter I have ever seen. People would walk past his both with only mild curiosity as to what he was selling and he would simply say “can I show you how it works”? And about 50% bought after seeing the demo! 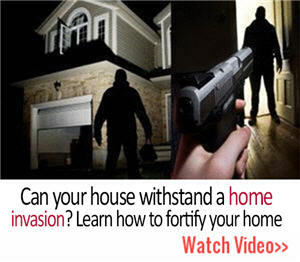 I came home with 2 of them and my daughter wants one for her camping trips.